Are you ready for No-Shave November? Sure, it’s still a few weeks away, but if you (and your beard) want to impress, you better start prepping that face fur. After all, you gotta give all the aspiring beard bros something to envy, right? Facial hair maintenance can be a no-brainer for those who choose to sport a clean-shaven look. Even dudes who can naturally attain a 5 o’clock shadow need to improve their shaving habits. But someone who’s actually growing and maintaining a beard has to keep a couple more things in mind. In some circles, beards are called portable food-trappers. Some see this as a positive thing (apparently, it’s a nice surprise when the tasty bits of food that get stuck in your beard suddenly fall into your mouth), but most just see it as unhygienic. Not only will the food, dirt, and dead skin cells you encounter daily make your beard smell funky (and possibly even gross to touch), they’ll make you itchy as hell, too. If you want to avoid all that, be mindful of your beard’s cleanliness and wash it regularly. And just like you would with your hair, keep to a frequency that works for you—not too often that your hair becomes dry and damaged as a result, but not too seldom that your hair turns oily either. Also, remember that regular shampoo and conditioner might work in a pinch, but it won’t treat your beard in quite the same stellar way as legit beard washes and shampoos. These products are optimized to give your beard the care and nourishment it needs, while also moisturizing the skin underneath so your face won’t turn flaky and irritated. They might be a bit harder to get a hold of (you lwon’t be able to buy them in sachets at your neighborhood sari-sari store), but they’re definitely worth the extra effort to find. For best results, apply generously and really massage the shampoo into your beard—don’t be afraid of digging in dip and giving your face a good rub. Rinse well with lukewarm water afterwards, then gently pat dry with a cloth (even if it’s long enough to do so, don’t wring it like you would a wet towel!). Beards can get unruly and coarse, that’s a fact. And even if you don’t mind having a wild bush growing on your face, your partner might not appreciate it as much. So if you want other people to be willing to get up close and personal with you, make sure to get your beard as soft and inviting as possible. One way to achieve this is by conditioning your beard. 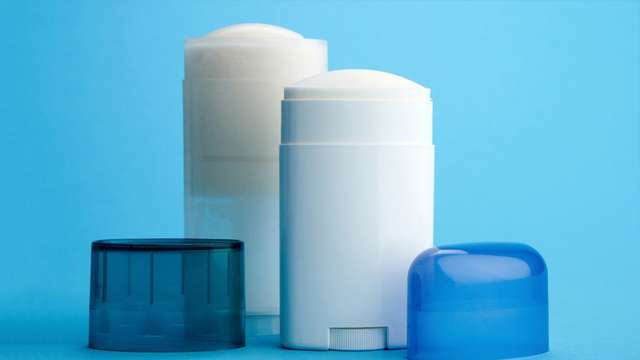 There are products that are like regular hair conditioners which you should put on in the shower (after a good wash and cleanse first, of course), but you can also opt for leave-in conditioners like beard balm and beard oil. Both will work to soften your beard and make the strands stronger. Beard balm, though, is a better styling agent, providing a good hold for any shaping and sculpting you may desire. Beard oil, on the other hand, is very useful for moisturizing your beard and keeping the skin beneath your scruff healthy and hydrated. When using either, it’s best to apply after a good wash and when your beard is already dry. Run a dime-sized amount (add more if you have a very sizeable beard) through your entire beard; remember to rub some on your skin, too. You can then use a beard brush—or just your fingers—to tame the strands into the style you want. Whether that’s neat and tidy, or rakishly wild, is up to you. One of the best ways to stay on top of your growing beard is through frequent trimming. Not to say that you need to always cut it short, but a regular sesh with your barber (or if you’re the DIY type, with your own pair of clippers) will go a long way in keeping your facial mane under control. Hair doesn’t behave the way we want it to, and it won’t grow evenly as well. So if you want to maintain a good shape, you’ll sometimes have to break out the trimmer and give stray strands the snip. If you’re scared of accidentally shaving away a chunk, or worse, giving yourself a bald spot, best to get a professional to do the job for you. Since you’ll likely be skipping your trip to the barbershop next month, it’s a good idea to schedule in a trimming now. That way, even when it’s growing longer than you’re used to, it’ll still keep to a manageable shape. Items From The Modern Man's Armpit Arsenal-Ranked!